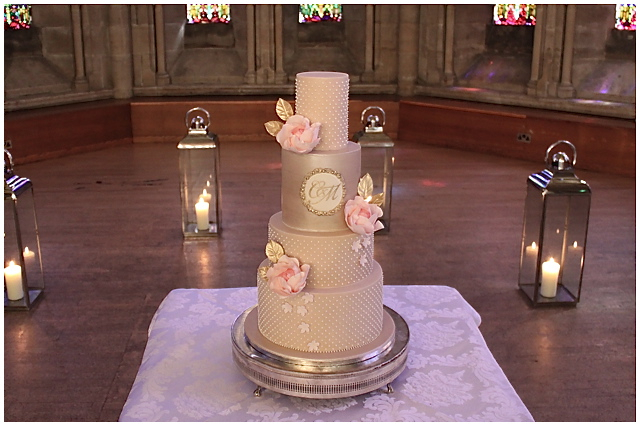 A beautiful four tiered wedding cake we designed for a wedding at the lovely Ashdown Park Hotel in East Sussex. 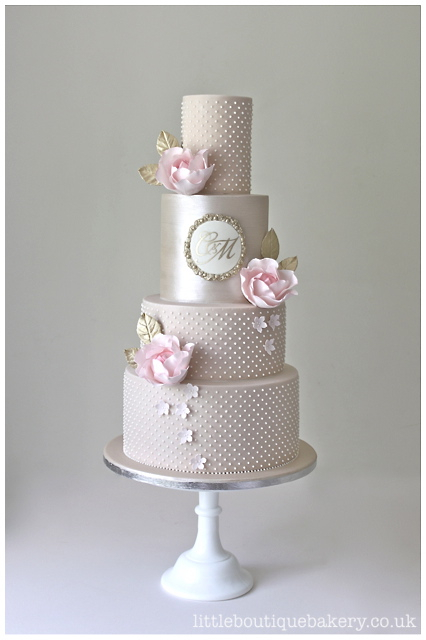 The wedding cake featured hundreds of hand piped icing pearls and a champagne lustred tier. 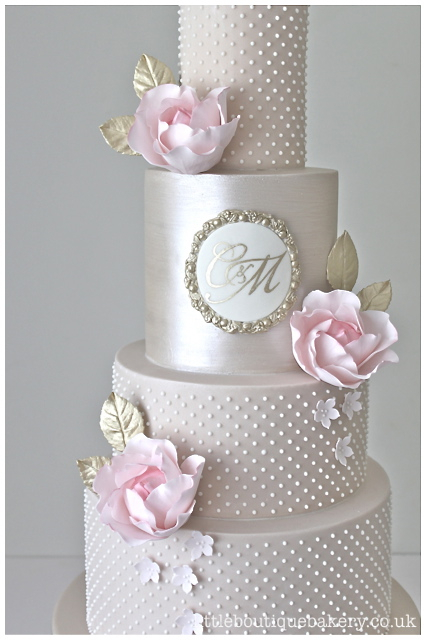 The special hand painted monogram plaque of the bride and groom’s initials design was taken from their wedding stationary and the colours of the cake perfectly matched the blush of the sugar roses and gold leaves. Our lovely couple Charlotte and Michael chose three different flavours for their wedding cake of organic lemon zest, chocolate truffle and luxury rich fruit cake. Wedding cake set up at Ashdown Park Hotel.